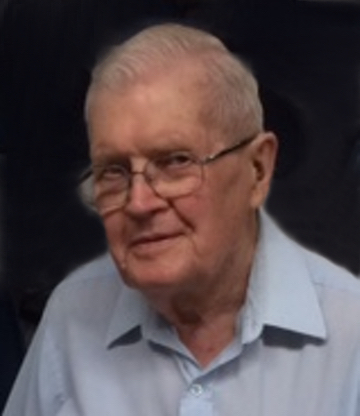 The death of Henry B. Thiessen, age 91 years occurred on June 10, 2018 at the Rosthern Hospital. He is survived by his children, Gerald Thiessen, Al (Chris) Thiessen; grandchildren, Warren (Olly) Thiessen; Deanna (Steve) Nickel; Geoff (Jessica) Thiessen; Joel Thiessen, Devan Thiessen; great grandchildren, Bennett Nickel; Caleb Nickel; Timothy Thiessen; Nathan Thiessen; siblings, Bill Thiessen, Harold (Emily) Thiessen; Mary (Vic) Reimer and brother-in-law Corney Martens. He was predeceased by his wife, Helen Thiessen (nee Klassen); son, Harvey Thiessen; daughter-in-law, Juanita Thiessen; parents, Peter R. and Katherine Thiessen; siblings, Peter (Joan) Thiessen, Anne Martens, Katherine (Carl) Friesen and sister-in-law Marianne Thiessen. Family and friends are invited to a family viewing Tuesday, June 12, 2018 at 7:00 P.M. at Funk’s Funeral Chapel, Rosthern. The Funeral Service will be held on Wednesday, June 13, 2018 @ 2:00 P.M., Rosthern Mennonite Church, officiated by Rev. Craig Neufeld. Interment will take place at Rosthern Cemetery. Arrangements are in care of Funk’s Funeral Home, Rosthern (306-232-5245, http://www.funksfuneralhome.ca). Sending my Condolences to Al, Chris and family. So when Helen and Henry ended up at the MNH, i had a chance to redeem myself. It wasn’t easy but I succeded and we became very good friends. In fact when ever I would see him after that, he always greeted me with a genuine Hug and reminded me each time about what I said in the coffee shop and how he never understood humour before and I was the one who taught him Humour and we bith had some good times discussing that. It hurt him quite a bit when I was diagnosed with Cancer and had to quit work because that stopped a lot of our little conversations and he missed that. He met me downtown Rosthern the first time after my diagnosis and He gave me the most genuine hug and said, if their is anything I could do to help you, please let me know, and I knew he ment it. Henry gave me alot of compliments during the way on how he missed my sense of humour at the MNH and he missed that. I had a few visits with him when he ended up at the Rosthern Hospital and i could see it boosted his Spirits when had our little visits and again we went over this time at the coffee shop. I was saddened when I heard the news about Henry passing away and remembered how he would say, “Guess how old i am” and he was happy to say “i’ll be 92 on my next Birthday” and now I guess he will celebrate that happy number, with Helen. He was strong enough to get through his Cancer ordeal a number of years ago and pridded himself on that and good for him to achieveve that goal. It gave me hope as I go through all my health issues. I will miss my friend and our little conversations, but I also know he will be happy to see Helen again and I will see him again one day as well.